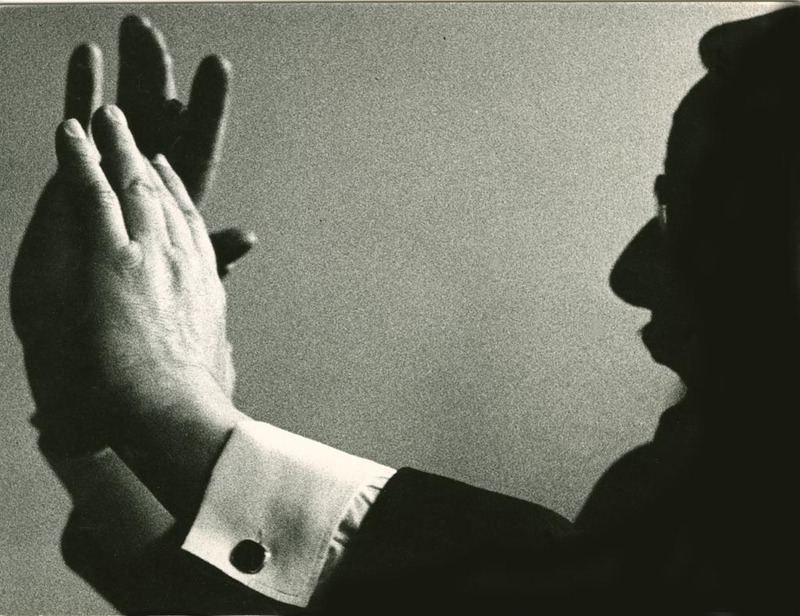 The orchestra Conductor, Richard Krauss. Richard Krauss was my second conducting teacher at the Berlin Hochschule fuer Musik (Berlin Music Conservatory). The first, Professor Lindemann, was actually a great musician, from whom I learned some musical things. But Lindemann was a great conductor, who had taught conducting at the Hochschule almost since the end of WW II, because he had developed a heart condition and was told not to continue his conducting career. Unfortunately, he retired after my first year and Richard Krauss took his place. Jean Morel, with whom I studied 5 years at the Juilliard School of Muisc, was the only conductor I have ever met, teacher or not, who understood and actually taught conducting technique....meaning how to move one's arms, hands etc., so that it would elicit the desired result from an orchestra without having to talk about it. Neither Lindemann nor Krauss knew anything about conducting technique. They had to talk to the orchestra to get anything the way they wanted it. Nadia Boulanger also knew little of conducting technique. But Nadia never tried to teach me technique. Morel had written her and told her I knew the technique, but what I needed was her thorough grounding in musical theory and ear training. And that was what she stuck to, leaving me alone to do Morel's technique, when I conducted. Lindemann and Krauss had a class of conductors and had to make some effort to speak of technique, most of which was either staying out of the orchestra's way, or techniques that are simply wrong, like using a Nachschlag (having the orchestra play after your beat) in order to get the orchestra to play together. Krauss was what was called a "Routinier". A very likable, rotund, grandfatherly man, he gave decent performances of productions of operas, when they were rehearsed as a team, with the stage director and others determining the overall tone and action of the production. But on his own, he was learned, but not brilliant. And he was technically rather poor. orchestra post, as it was the most discussed thing in the Berlin music world at that moment in time. Anyway, I was already a photographer by that time, and Krauss let me bring my camera to class. This photo was the result. It was taken while krauss was demonstrating something for a student. © 2006 Mark B. Anstendig. All rights reserved.